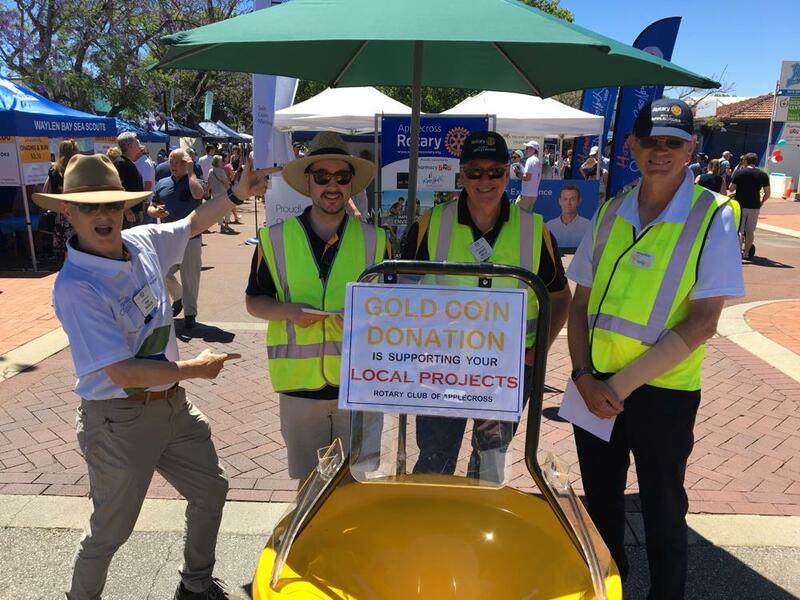 Rotarians Tim Inglis, Jarrad Hall, Jamie Kelly, and Murray McKay welcomed visitors to the Rotary Jacaranda Festival. 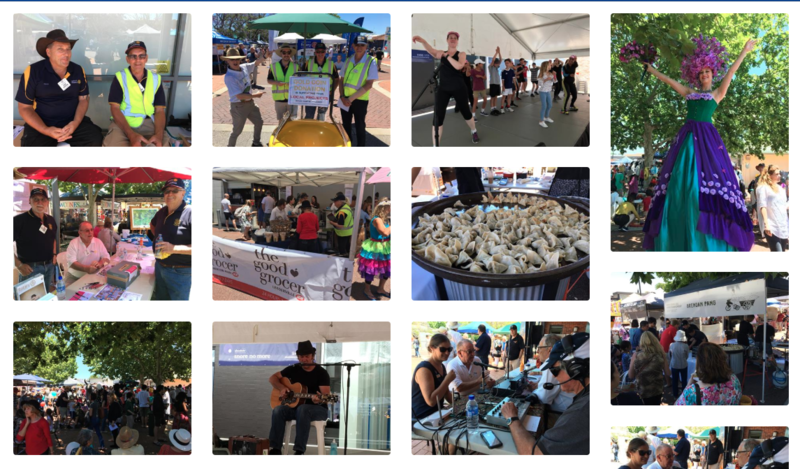 Hundreds of visitors enjoyed the pleasant weather, celebrity chefs, great crafts -- and so many trade drawings to be won! The crowds danced and enjoyed the entertainment. Our local and federal government representatives shared stories with the residents and our Rotary District Governor. Capital Radio came down from Wireless Hill to cover the day's events. Were you inspired by the Jacaranda Festival? We'd be honoured to have you join Applecross Rotary and serve our community next year. This event gets bigger every year through the passionate volunteer work from our local Rotarians. Ask us how to become part of our Club.